The "River Publishers Series in Electronic Materials and Devices" is a series of comprehensive academic and professional books which focus on the theory and applications of advanced electronic materials and devices. 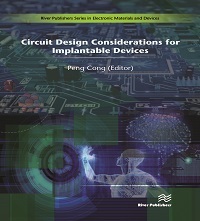 The series focuses on topics ranging from the theory, modeling, devices, performance and reliability of electron and ion integrated circuit devices and interconnects, insulators, metals, organic materials, micro-plasmas, semiconductors, quantum-effect structures, vacuum devices, and emerging materials. Applications of devices in biomedical electronics, computation, communications, displays, MEMS, imaging, micro-actuators, nanoelectronics, optoelectronics, photovoltaics, power ICs and micro-sensors are also covered.